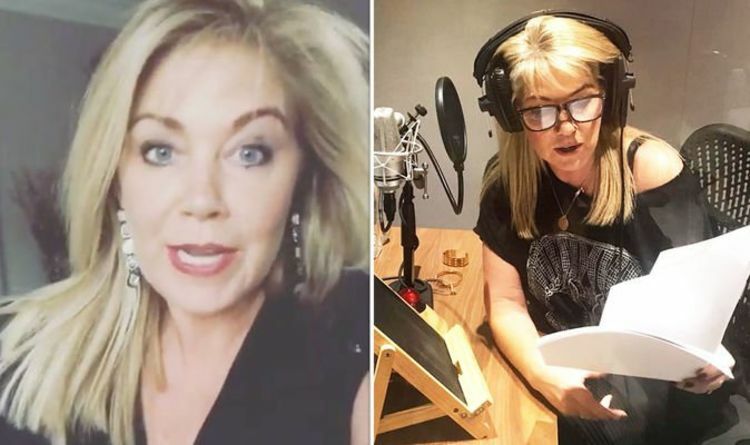 Former Homes Under The Hammer presenter Lucy Alexander, 48, joked she was finding it difficult to get through the multiple cakes she has been sent in a hamper from Mr Kipling. In view of her 24,000 followers, she wrote: “It’s a bit of a nightmare that Mr Kipling sent me a huge hamper with ALL his excitingly nice cakes as a gift this week. I’m working my way through them with a cuppa wearing my trackie, hair in a scrunchie kinda thing. Hmmm really not at my best tbf.”(sic) Lucy’s post prompted many of her social media fans to comment. Her tweet comes just days after she lamented about receiving another parking ticket. The mother-of-two zoomed in to the ticket placed on her windscreen following a day out with her son, Leo. Elsewhere, Lucy left the BBC property show in 2016 after 13 years on the show, in which she presented alongside her sidekick Martin Roberts and Dion Dublin from 2015. Reflecting on her time on the programme recently, she said she was “not very good” at remembering her lines. Speaking to The Sun’s Fabulous Magazine, she said: “I’m not good at remembering my lines. Lucy admitted she misses the show because she “got to look around so many different properties”. Following Lucy’s departure from the show, she was replaced by Martel Maxwell. Lucy has gone on to work on other projects including a recent show with her former co-star Martin. She teased fans about a reunion with the star, telling fans they were working on new show Crufts. Homes Under The Hammer airs weekdays on BBC at 10am.